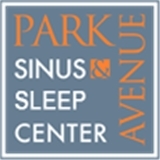 Park Avenue Sinus and Allergy Center (New York) - Book Appointment Online! Dr. Jeffrey Ahn is one of the leading head and neck surgeons in the world, with over twenty years of clinical experience and a long record of academic leadership. As Director of Sleep Disorder & Robotic Surgery and Assistant Professor of Clinical Otolaryngology at New York-Presbyterian Hospital/Columbia University Medical Center, Dr. Ahn has dedicated his career to pioneering approaches in the treatment of sinusitis, snoring, and sleep apnea. I think he is an excellent doctor, and his staff was helpful and polite as was the nurse. The office is clean, modern and comfortable. I recommend this doctor!